Fizz power bursts from these hard candies. Each piece is individually wrapped. 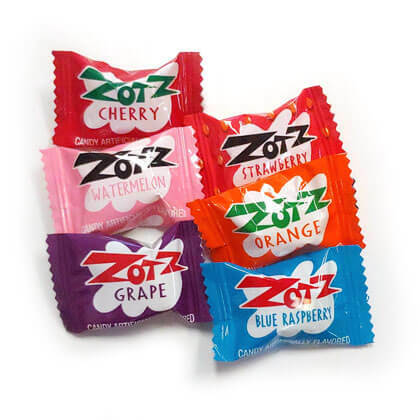 Assorted apple, blue raspberry, cherry, grape, orange and watermelon flavors. Approx 4 per oz.